Important Information: Collegiate Concepts, Inc.(CCI) is the Exclusive/Endorsed/Approved provider of Lofts & Safes at Humboldt State University. Loft Rentals, Safe rentals & Safe sales are available for the 2018 Academic school year. Thanks! 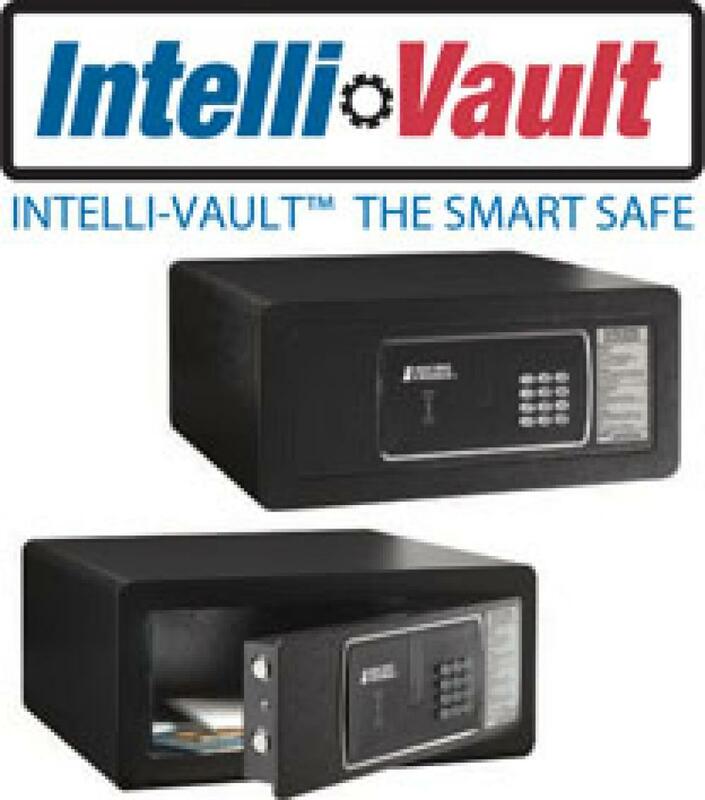 Intelli-Vault™ provides hassle-free secure storage. Its external USB battery pack is simple to use and allows you to open quickly should batteries fail. Its two emergency opening override solutions—MIFARE access card and a traditional key—also provide added peace of mind. Rounded corners, fasionable Charcoal Black 2" gauge cold steel cabinet, and a blue LED control display panel make Intelli-Vault™ as stylish as it is safe. Warranty: 12 month warranty with on-site service.